A short drive from Blenheim to the busy port town of Picton, and its here from that the Interislander ferries arrive and depart. The town centre is quite small with plenty of shops and cafes and the waterfront area is a very pleasant place to spend a few hours watching the activity of the ships. The Edwin Fox Maritime Centre on the wharf is worth a visit with the star attraction being the vessel the Edwin Fox, reputably the 9th oldest ship in the world. Its also the starting point the for the famous Queen Charlotte Walk. Can't decide between the wineries and studios? Do it all and appreciate the artistic life of Nelson as your explore studios and wineries - glass, pottery, beads, and woodturning, complemented by breathtaking scenery and award-winning wines. Immerse yourself in the world-class creative centre that is Nelson. Visit top studio potters and the famed Bead Gallery, visit a glass gallery, and choose irresistible gifts. You will be taken to view original and ingenious art works that will stimulate your imagination and offer the chance to enrich your collection. Nelson's happy blend of climate and landscape has produced ideal grape-growing conditions for elegant whites and warm reds, which you'll sample as you visit 2 vineyards in the Waimea Plains region. Set amongst apple orchards this charming house is ideally located halfway between Nelson City and Abel Tasman National Park. Leaving Nelson City you will pass through the suburb of Richmond. 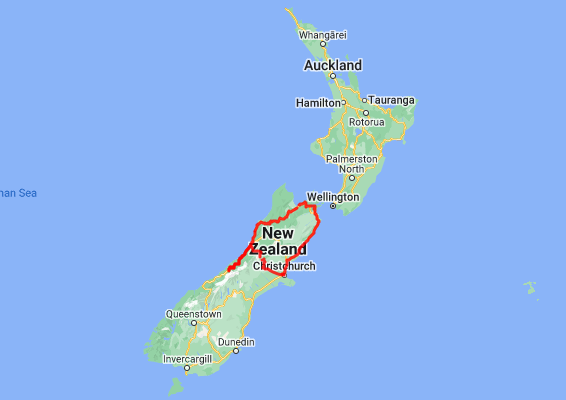 Moving on you will pass through the Nelson Lakes and Kahurangi National Park region. Trees, rivers and valleys accompany you now as you head towards the town of Murchison. Murchison is a quiet place and a great lunch stop. Underneath its sleepy farming facade is an adventurers paradise with white water rafting, jet boating, gold panning, kayaking, 4WD trips and excellent trout fishing. Heading South towards Westport you will drive along the Buller Gorge, enjoy some wonderful scenery as you follow this magnificent river. Further along the river from the west coast turn off one of the must stop places is Whites Creek and New Zealand's longest swing bridge. Crossing the river you get magnificent views of the gorge and once on the other side there are short bush walks, jet boat rides and some of the historic gold mining remnants. Continuing on your journey the first major town (by this regions standard) is Inangahua and a small museum tells of the earthquake that hit the region in 1968 leaving 70% of the buildings damaged or inhabitable. Heading south a worthwhile divert is to Cape Foulwind just south of Westport. Home to a seal colony and the short walk provides some spectacular scenery. 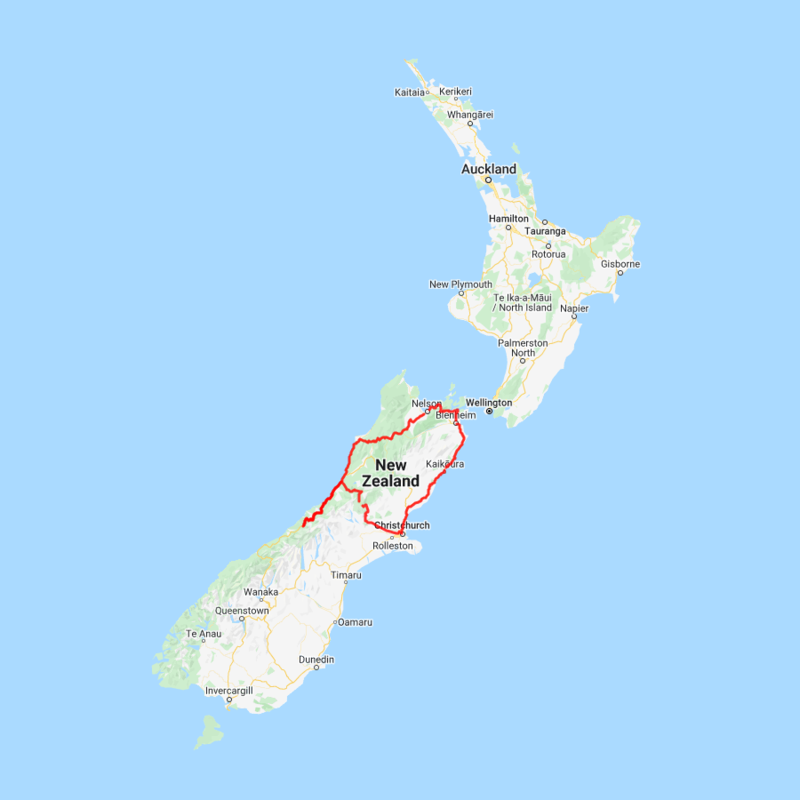 Continuing south on the road to Punakaiki you will pass through Paparoa National Park. On arrival to Punakaiki you may want to visit Pancake rocks. Pancake rocks are open to the public free of charge all year round. These are awesome natural blow holes and rock formations, the name says it all. The west coast is very rugged, mountains meet sea and the coast is covered with beautiful fauna and flora including nikau palms.